Industrial personal computers (IPCs) are widely used in automation, data acquisition and related applications due to their superior price-performance ratio, extensive data handling capabilities, numerous connectivity options and other features. They function much like a traditional PC, but with additional features and hardening specifically for tough environments. When an application requires both a box PC and a graphics display, which is usually the case, the most compact and cost-effective solution is to combine both of these components together in one housing. But this presents a problem when either the box PC or the display needs to be repaired or upgraded. Users can deal with this issue in multiple ways, none of them wholly satisfactory. The entire unit can be removed and sent for repair, but this disables its functionality until it’s repaired, returned and reinstalled. If the display fails or is damaged beyond repair, the complete unit must be replaced in its entirety, which entails losing the investment in the box PC, and vice versa if the box PC fails or is damaged while the display remains operational. For upgrades, a similar problem exists, and the component normally affected is the box PC. Graphic display technology doesn’t advance as quickly as box PC technology, so many users find themselves in a situation where the display is perfectly acceptable, but the box PC needs to be upgraded to add features and functionality. New technology addresses these issues by providing the box PC as a “box module” which plugs into the display. This allows users to select and maintain just the right amount of performance, while reducing the total cost of ownership. Many other automation technologies such as programmable logic controllers (PLCs) are already modular, so the concept of a modular IPC is a natural fit for industry. Consumers typically like having things their own way,especially when it comes to goods like cars, clothing and hamburgers. However, the technology industry has often implemented product features without much user input,which is understandable considering the complexity of electronic devices. But electronic technology can certainly be offered with options, and there are many good reasons to do this. As Forbes.com reports,modular technology for electronics “has the potential to give the opportunity of choice to the people and enables far longer product life cycles, thereby reducing (electronic) waste.” (Reference 1). When it comes to box PCs, the ability to select a box module and a display and then simply plug the two together to obtain a final product is a lot like choosing a favorite ice cream flavor to go with pie for dessert. The box module may be a full box PC or a thin client. Display models come in various sizes and resolutions of course,and also may be the classic 4:3 or current 16:9 aspect ratio. Not only that, but different touchscreen technologies and multi-touch capabilities are available to fit application requirements. Most automation platforms, such as PLCs and distributed control systems, already employ modular techniques. Typically, these platforms use a backplane, rack, or similar card carrier method to hold power supplies, controllers, I/O modules, and other related accessories. Users select exactly the right components for the application. Once in service, any failures only require a single module to be replaced, and these are often hot-swappable. Hardware is not the only target for modularization. It is now common practice to use object-oriented software components and library-based development methods to promote reliable performance, consistency and reusability. Modularity may be even more critical for software than for hardware. The International Society of Automation (ISA) is a leading developer of automation industry standards, many of which address modularity. 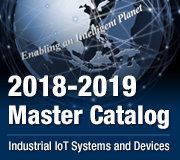 According to ISA.com, “modular systems speed and simplify new plant programming, construction, modifications and product changes.” (Reference 2). Modularity at all levels reduces life-cycle costs, and is clearly the path forward in many areas of industrial automation. Modular panel PCs are simply another logical extension of the modular concept already in use in many industrial automation hardware and software products and systems, offering designers a number of benefits as listed in the Table and described below. It is important to note that the flexibility offered by modular panel PCs is not just cosmetic; this idea offers numerous real advantages for engineers and end users. Configuring a box module to meet the exact needs of an application via modularization is fast, supports easy maintenance, and provides an upgradeable path to the future. It has long been possible to buy a separate box module and a display and then fabricate the two into an enclosure. This approach entails some additional costs and complications, such as routing display and USB connections from the box module up to the display, and finding enough installation space. Combining the box module and display into a click-together package is obviously more compact than separate devices, and when the additional design and installation costs are considered the modular approach can be much more cost-effective. Not to mention that additional failure points due to cabling are reduced. Modular configurations usually allow OEMs and endusers to stock fewer replacement components. They only need to maintain stock on just the pieces typically used, instead of organizing many varied configurations. The customizable aspect can be looked at two ways. First of all, given a range of box module and display models, designers can select just the right combination that is fit for the need, without over specifying hardware and adding cost into their projects. This is the ultimate in flexible design. A more likely scenario is that an end user or manufacturer would decide on one model (or a limited range of models) for the box module and the display that will work well for their spectrum of applications. Designers working for the company would choose from this preferred subset of models to minimize the variation and stock required. Sufficient options are available, but the selection process becomes streamlined, as does stocking and maintenance. Both approaches, full customization and customization within a limited range, speed up the design cycle by providing enough choices to meet any need, and making it far simpler for the user to stock and deploy the box PC/display products. The most obvious consequence of utilizing modular panel PCs is that if a problem arises with the display or the box module, just that component needs to be replaced instead of replacing amore costly consolidated unit. Replacing the IPC box module on the back of a display is just as quick and easy as it might seem. And replacing modern flat screen displays is also facilitated by the ability to remove the box module (and therefore the wiring connections) first. A less obvious benefit is that the IPC box module can be pre-configured by a manufacturer, or in a remote office or shop environment, prior to being moved to the field for replacement. Once installed, the new unit can simply be turned on with no further configuration required. Any time maintenance work (especially detailed software configuration) can be moved from the field into a protected office or other location, the work can be performed faster and more reliably, resulting in further savings. Once a machine is shipped or a project is complete and the equipment is in operation, it is often hard to justify upgrading the box module platform due to the cost and the need to discard functional equipment. However, modular IPCs offer a more palatable approach. Display technology changes relatively slowly as compared to IPC technology, and today’s displays are quite good in terms of resolution, brightness, power consumption and overall general performance as compared to models from a few years ago. Furthermore, upgrading the display size involves mechanical effort to enlarge the panel opening. Therefore, there is usually very little call to upgrade just the display unless the existing unit is faulty in some way. On the other hand, PC technology develops at a much faster pace. It is very conceivable that an upgraded IPC box module would be desired to support the latest operating system with new features, or simply to improve performance and responsiveness. Other reasons for upgrading include discontinued support from the operating system vendor, with the new operating system requiring a more powerful platform. Another possibility is that users need to change from a thin client solution to a full PC, or vice versa, to achieve their automation goals. With traditional panel-mount PCs, this would typically be a complete change of the box PC/display unit. Not so for modular IPCs, where full panel PCs and thin client box modules are available. Users can upgrade just the box module to exactly the level they need, which will cost less than replacing a combined panel PC. This makes modular panel PCs the cost effective way to upgrade equipment, and makes these combined units future-proof. One target segment for modular panel PCs is the automated machine manufacturing industry. 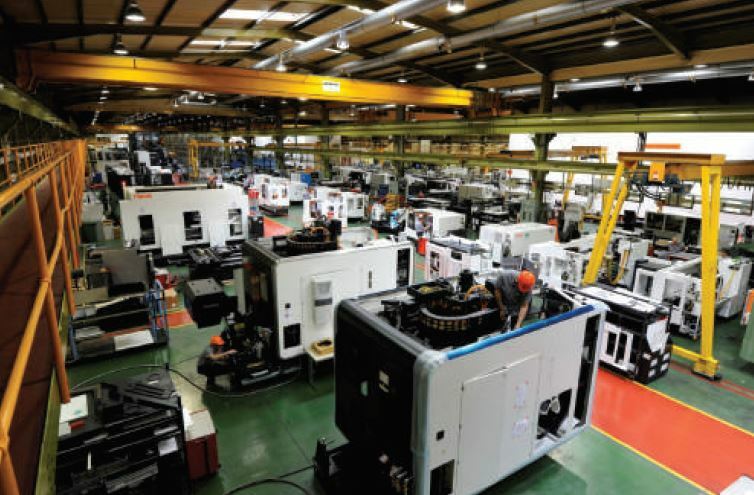 In this sector, some OEM machine builders make just a single type of machine, but many OEMs produce a range of machine sizes and types. Consider a OEM of parts assembly machines. 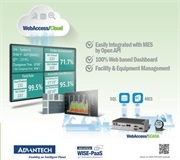 Much of today’s smart machinery features a graphical user interface (GUI) and Ethernet connectivity. These smart machines may incorporate programmable logic controllers for the actual high speed low-level control, but there still needs to be a GUI platform, typically built into the face of a non-board control panel. Modular panel PCs fit this role exactly. The manufacturer can select display formats and box module capabilities based on the size and performance needed for each type of machine.This allows them to stay within one familiar and consistent product family, while offering the right amount of features. In some cases it might very well be possible to extend the box module with I/O modules so that that visualization and direct control are collapsed into a single consolidated box module platform. Not only is the hardware design simplified, but this would also result in cost savings. As end users buy more machines, and see updated capabilities on newer models over time, they may well request a retrofit of some of those new capabilities onto older equipment. Once again, the modular panel PCs approach is the best solution for the OEM to roll out improved hardware and features in a cost effective manner. Automated machinery is not the only place where IPCs are regularly employed. Larger site-wide process control systems also use IPCs to provide local operator GUI stations out in challenging plant environments. Automation systems at many production plants tend to grow over time as various smaller projects are added incrementally and may or may not integrate fully with existing systems. For instance, a chemical plant might have one island of automation for storage silos, another for pumping and blending, and a third for packaging. 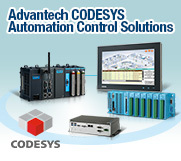 Each system offers basic functionality, with its own controller and one or more IPCs. However, in many cases these islands can be integrated to result in overall improved efficiency. An automation architecture using many PCs distributed throughout a facility and communicating with many controllers may start to become an administrative challenge. For larger distributed systems such as this, many HMI vendors and engineers are moving to thin client architectures. Instead of using many “smart” PCs throughout a site, they instead deploy “dumb” thin clients which can be centrally and conveniently administered from a single server. Once again, the modular panel PCs concept makes it easier to make a change; in this case the transition from PCs to thin clients. Existing displays stay in place, and only the box modules need to be changed out as the site is migrated to the new thin client architecture. Not only does this preserve some of the existing equipment investment, but it allows the migration to proceed incrementally. This approach also provides a fallback path to the old hardware if there are any setbacks during the migration. 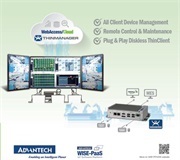 Advantech is a global manufacturer of embedded automation products and solutions, offering an innovative and wide-ranging portfolio of hardware and software. As a leader in the modular panel PCs field, they currently offer five models of thin client box modules, five models of Control Panel box modules, and five models of display units. All of these models can be private labeled if desired in order to align them with an OEM’s product line identity. An important feature of these modular panel PCs is that a Wi-Fi antenna is integrated right into the front panel of the displays,which allows a unit to connect to a network immediately with no additional cabinet modifications, cabling or parts required. The displays are water and dust resistant up to IP66. Lightweight materials and special fittings easily allow one person to install the displays in an enclosure, while other mounting kits support VESA mounting methods. The user interface is customizable and features intelligent on-screen menus for adjustments. Box modules operate on standard 24 VDC. Models are available with 2.5” removable HDD bays and connectivity to accept the latest M.2 embedded storage format, as well as the ability to operate a second display. 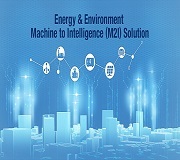 For industrial applications, Advantech’s iDoor technology is supported, so a wide range of interface modules can plug right into the unit. The displays and box modules connect together using rugged pin-to-pin connectors. Once plugged together, it is a simple matter of tightening some screws to complete the assembly. It couldn’t be easier for designers and manufacturers to select just what they need, and quickly roll it out for installation. Automation systems and equipment are exceedingly powerful, but can become quite complex to deliver all of the required features and functionality. There is a continuing push in industry for methods, equipment and systems which are more open and modular. As the ARC Advisory Group observes, “end users have expressed their displeasure at the way automation systems have evolved … they want a solution built on modular, standardized elements that can be easily integrated together.” (Reference 3). Modular panel PCs fit this vision. Box PCs are a foundational component of many process and equipment automation architectures. They represent a proven high-performance technology meant to withstand the harsh environments encountered in countless real-world applications. In particular, box PCs configured as all-in-one units with integral displays are very attractive from an installation standpoint because they fit nicely into constrained locations. The obvious downside with all-in-one units is that any failure, and many types of performance upgrades, require a complete replacement of the in-service unit. This is costly, introduces challenges with maintaining spare parts, and can extend repair times. Users have looked for a better option. Industry has responded by creating a modular style of Panel PCs, where users can select from a range of available display units and “box modules”. 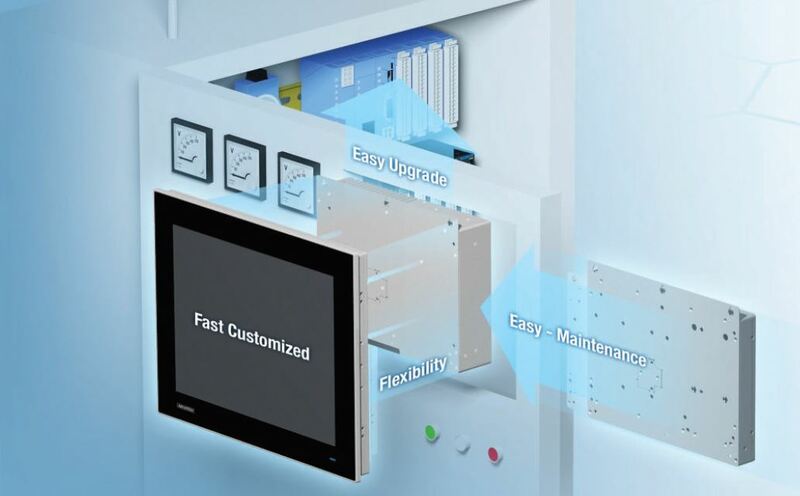 In particular, Advantech’s modular class of panel PCs easily allows users to concoct the exact automation PC/display unit to meet their needs. The PCs package is optimized for easy installation, and if needs change it is a snap to modify the configuration. End users can stock a reduced subset of parts, and also benefit from minimal downtime if a repair or upgrade is needed. Performance is improved while overall cost is reduced. Many other hardware and software elements of automation platforms already follow a modular format because it is often the most reliable and cost effective way to achieve solutions which are flexible, customizable, maintainable and upgradeable. Modular panel PCs are simply an extension of this concept, and are a solution whose time has come.